Our professional and caring staff are knowledgeable, experienced and will listen to your needs. 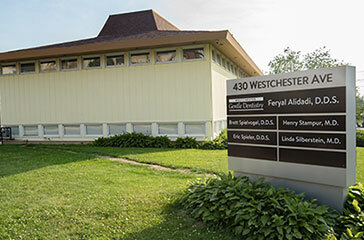 Dr. Feryal Alidadi has created a comfortable dental environment staffed with friendly professionals who will treat you and each member of your family with respect and compassion. We enjoy getting to know our patients and answering any questions they may have. We’ll give you all the information you need to make informed decisions regarding your oral health. Our patients are important to us. We’re here to give you the dentistry you deserve. That’s why we perform the latest procedures and use modern dental techniques and technology. We want to fulfill your smile needs while providing you with the best possible dental care. Whether you’re here for a simple procedure, a cleaning, or to do restorative and cosmetic dentistry, we will meet your needs and take care of your concerns each step of the way. Our ultimate goal is to exceed your expectations. We want our patients to feel comfortable and welcome. You will notice the pleasant and friendly atmosphere the minute you walk into our practice. 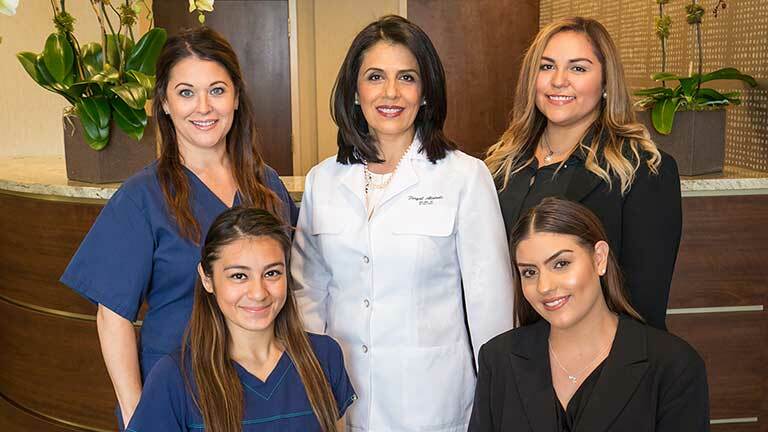 Dr. Alidadi and her staff do an incredible job of making all of our patients comfortable and at ease – even those who are anxious at dental appointments. You can count on our dental professionals to put you at ease, listen to your concerns, fully explain your dental treatments and answer all of your questions in simple English. In addition to English, we can accommodate the needs of Farsi and Russian-speaking patients. Dr. Alidadi wants you to receive the dental care you need. That’s why she keeps her prices reasonable and competitive, and why she offers convenient, flexible payment options that are perfect for people who need a lot of dental work. We accept cash, checks and we honor MasterCard®, Visa® and American Express®. We also accept most PPO dental insurance plans and will help you maximize your dental benefits. Additionally, we offer flexible, no-interest financing through CareCredit®, and we honor the Citi® Health Card. 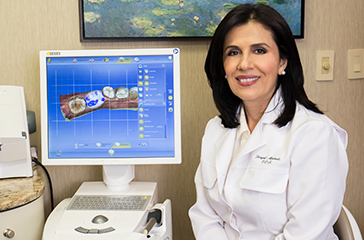 Dr. Alidadi uses advanced technology to make your visit comfortable, efficient and minimally invasive. You’ll find that Dr. Alidadi’s office uses modern, state-of-the-art dental equipment and procedures. This includes the revolutionary Invisalign® clear aligners, advanced gum care treatments using dental lasers, precise treatment planning with 3D CT cone beam scans, CEREC® one-visit crowns and the latest cosmetic dentistry procedures. Dr. Alidadi has received advanced training at some of the most renowned dental institutes in the United States. She is both trained and experienced in providing the latest dental techniques for creating attractive, healthy smiles. Your comfort is of the utmost importance to us. We’re here to give you and your family the friendly, gentle care you deserve. Our office has a relaxing atmosphere, where everyone treats you with the care and concern they would their own family. And we’re especially good with children. Dr. Alidadi believes that dental care should be a comfortable, rewarding experience. She and her pleasant, well-trained staff are easy to talk with and do a fantastic job of helping patients relax. They take the time to get to know you as a person, listen to your concerns, answer your questions and explain your treatment in detail using language that’s easy to understand. 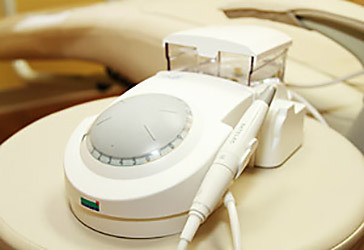 We use an ultrasonic scaler to make cleaning more comfortable. Dr. Alidadi provides patients with efficient, competent and gentle care. When you visit Dr. Alidadi you can be assured you will be getting the dentistry you actually need, and nothing more. She is conservative in her approach and wants to help you keep your teeth healthy for life. She will do whatever is necessary to save your teeth, and will only do the procedures that are necessary. Dr. Alidadi will present the best treatment options for whatever dental issue you may have. Dentistry is constantly evolving with technological breakthroughs. Dr. Alidadi takes ongoing advanced training in family and cosmetic dentistry in order to ensure that you get the benefits of the most recent advances in dental care. Because Dr. Alidadi devotes considerable time to continuing education coursework, she is able to use her skills to provide you with the most up-to-date, efficient and gentle care.